FIRST CLOVER LEAF BANK, N.A. FIRST ROBINSON SAVINGS BK, N.A. WESTERN IL SCHOOL EMPLOYEES CR UN. OUR LADY OF SNOWS C.U. DIVISION 10 HIGHWAY EMPL C.U. OZARKS FED SVGS AND LOAN ASSN. FT SMITH DIXIE CUP F.C.U. PINE BLUFF ARSENAL FEDERAL C.U. 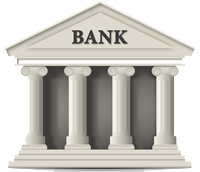 Bank Routing Numbers List - Page 62 of 73. Bank names and ABA routing numbers sorted by routing number.